Disney may be hard at work with its very own Star Wars land at Walt Disney World in Florida, but the Mouse House has more in store for guests heading to the parks when it opens in 2019….that is, if they want it. Via a third party, Disney is conducting surveys of guests asking them if they are at all interested in a Star Wars-themed resort. 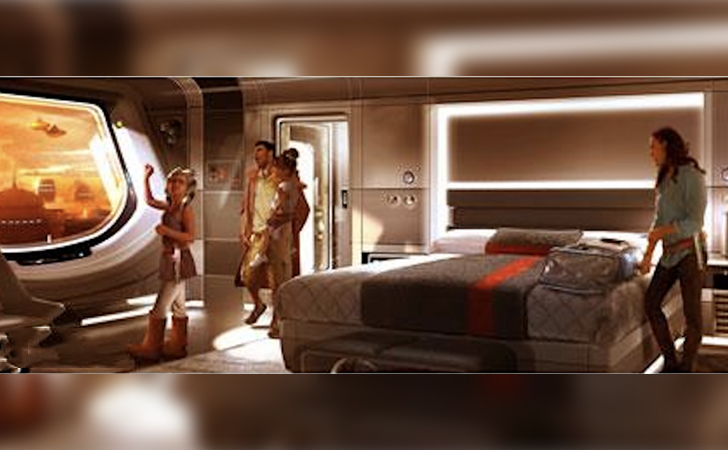 Set in “an actual Star Wars starship”, this resort would place guests in a “continuous, story-driven entertainment experience”. 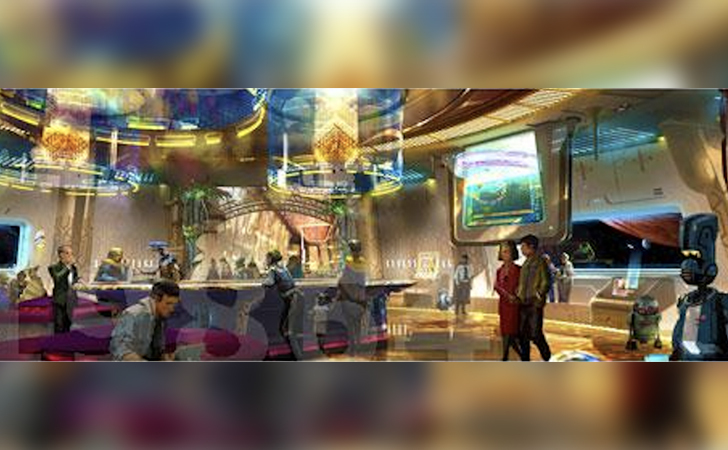 Disney is also showing concept art for the resort as they interview people. The experience would unfold for visitors throughout a two-night stay. The entire experience will even allow guests to interact personally with Star Wars characters (all by live performers, not animatronics) throughout the entire ship. Imagine walking into the main lobby and being greeted by R2-D2 or Admiral Ackbar! In order to make sure that as many people could enjoy this resort as possible, guests would be limited to two nights in the resort with set check-in and check-out dates. Four guests would be able to stay in each room, and a large interactive window would offer a view of a different part of the “galaxy” or the pool/atrium area. If built, the resort will reside very close to Hollywood Studios, close enough that guests staying at the resort could easily speed on over to an exclusive visit to Star Wars Land on the second day of their stay. Disney has even figured out food, with each guest getting a total of five meals during their intergalactic stay. 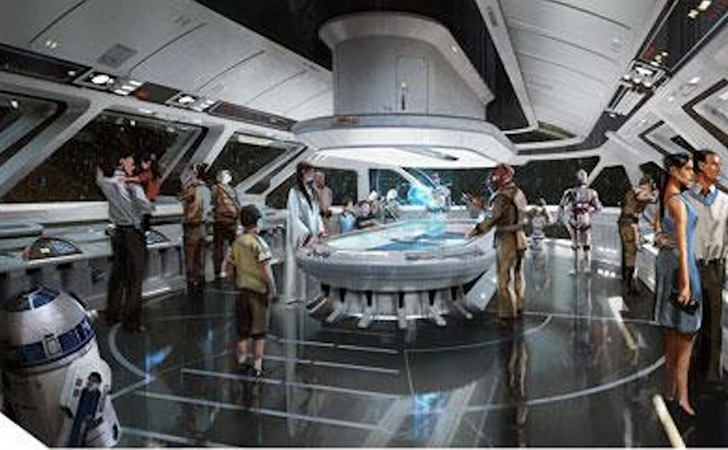 Are you excited for the prospect of a Star Wars resort? SHARE this story on Facebook and let everyone know where you’ll be headed in 2019! Disney Is Now Hiring — But For Positions Where You Can Work At Home!